All sessions will be in McGuffey Hall. I Understand "Essay", I (Think I) Understand "Critique", But How Do I Write a Critique Essay? Dr. Kelley Kimple is the Director of the Office of Diversity Affairs and is a member of the Council on Diversity and Inclusion at Miami University. She has worked in the Student Affairs field for 15 years, amassing experience in Residence Life and Multicultural /Diversity Affairs. Dr. Kimple is passionate about working with college students, primarily underrepresented and marginalized groups, in order to provide them with the type of support she was able to receive during her time attending predominantly White institutions. Dr. Kimple strives to create welcoming and culturally competent environment here at Miami as she has done at the other institutions where she has served. Chris R. Glass, Ph.D. is an Assistant Professor of Educational Foundations and Leadership in the Higher Education graduate program at Old Dominion University in Norfolk, VA. He is the author of International Student Engagement: Strategies for Creating Inclusive, Connected, and Purposeful Campus Environments. He is also a lead researcher on the Global Perspectives Inventory (GPI) which examines the relationship between educational experiences and global learning outcomes based on survey responses of 100,000+ undergraduates and 100 American colleges and universities. Dr. Glass has published articles in the Journal of Educational Psychology, the Journal of Studies in International Education, Journal of Diversity in Higher Education, and the International Journal of Intercultural Relations. This presentation will demonstrate how an interlacing of inclusive curricular design using Universal Design for Learning (UDL) and Universal Design for Instruction (UDforI) can shape inclusive and successful experiences for all students, with and without disabilities. The presentation will share the details of UDL and UDforI frameworks and similarities in their outlined principles including specific examples of activities, assignments, assessments, and a classroom space used in an undergraduate introductory Disability Studies course that has been redesigned to support a curricular interlacing of UDL and UDforI. Universally designed student-led action projects to promote just and inclusive practices for individuals with disabilities will be highlighted. Ever wonder how Miami University's Greek lettered chapters support students who identify as members of the LGBTQ community? Representing over 35% of Miami students, fraternity and sorority chapters are supported both by the Office of Student Activities and Cliff Alexander Office of Fraternity & Sorority Life and International Headquarters. From organizational policy on transgender membership to programs our staff offers students as it relates to identity development. This session will provide participants an opportunity to learn about resources, policies, and support structures in place for LGBTQ membership within fraternities and sororities at Miami. In this presentation, the presenter will argue the importance of teaching and modeling skills, strategies, and genres of writing to students who will be required to use them in their courses. The presenter will focus on her experience as a student and teacher, as well as on the experience of her students, both domestic and international, who for various reasons lack the knowledge in and experience with certain skills, strategies, and genres of writing ranging from critical close reading of a text to providing peer feedback in peer review sessions to writing response/reaction papers, critiques, etc. Survivors are friends. Survivors are family. Survivors are people. With laws, regulations, policies, and duties, it can be easy to lose sight of the individuals that may get caught in a difficult, complicated, life-altering system. Through this interactive program, we hope to demonstrate some of the decision and obstacles survivors face and have participants walk in their shoes. Domestic violence affects people of all ethnicities, gender identities and expressions, sexual orientations, and ages. Participants will gain a deeper understanding of domestic violence, laws, policies, and resources along with how they can help respond to and work to prevent violence. This panel will increase awareness of the learning needs of international students and provide strategies to nurture inclusive learning environments in classrooms. Based on findings from a past Faculty Learning Community on Mentoring and Advising International Students, we will identify key areas of challenges in classrooms for international students such as different expectations for teaching styles, in-class collaboration between students, and class participation. Panelists will contribute insights from various disciplinary contexts and examples on how to enhance inclusiveness in classrooms. We hope to deepen the dialogue on creating an inclusive learning environment and generate more actionable ideas and strategies. Music is considered a universal art. What makes music more "universal" than the arts, or other disciplines? How can the universality of music classes in a university provide a more inclusive environment? Is music more effective than other arts to promote inclusiveness? The special attributes of the arts that makes them appropriate to provide a more inclusive environment. There has been a growing body of research on collegiate males and their behaviors within college life. Masculinities work is becoming increasingly popular and valued in higher education, but figuring out how to get started can be daunting. Research has also shown males are sometimes more disengaged than their female counterparts. This session is designed to provide faculty and staff skills, tools, and resources to effectively work with collegiate males. The session will also include a brief overview of the research but will focus on practical applications. We will also briefly address differences within masculinity: race, ethnicity, class, and sexuality. The purpose of this Inclusion Series workshop is to use Critical Moments, a program developed by the University of Nebraska, to explore the dilemmas that underrepresented students often face when navigating life on a college campus. Through thoughtful reflection and analysis of three culturally relevant case studies, participators are given the opportunity to examine their interpretive frameworks and allow these implicit and tacit frames to emerge in productive, educational exchanges. Intergroup dialogue via case study requires participants to think through the complexity of diversity, provide analysis on the cases, and to explore possible resolutions for difficult situations. Often, researchers believe they must choose between research rigor and inclusive practices when designing a project, program, or initiative, even when the program, is intended to increase the diversity of a field or discipline. In this session, Discovery Center presenters will draw upon our experiences as researchers and evaluators to advocate for the inclusion of cultural awareness and competence as key measures of research rigor, particularly for research intended to improve equity. 11:30 p.m. - 11:45 p.m.
A brief satirical skit about decolonizing education. This skit will demonstrate how Western society creates, distributes and enforces knowledge in an imperialistic fashion. The skit will encourage faculty, students and staff to think about what identities are present when we establish our methods of knowledge creation, teaching, learning and the historical context of these ideas. Specifically, how European imperialism has silenced indigenous and black voices in education and knowledge creation. Reflective in nature, this presentation engages Glass-Starr's (2013) notion of threshold work and how it pertains to the mentorship of international scholars facing uncertainty in academia as a result of the current political climate of the United States. Ross et al. (2011) describe liminal spaces as ones where a person is ridden with anxiety, stress, struggle, and high emotion (p. 25). While ambiguity is at the center of liminal experiences, it is the very thing that allows foster the possibility of relational depth and development between a mentor and their mentees. 11:45 p.m. - 12:00 p.m. This presentation will reflect on my experience in directing the ASPIRE pilot at UCLA from 2014-2017 to develop interdisciplinary media production courses for students in liberal arts majors. ASPIRE is a non-profit that partners with universities to provide resources for media and social change initiatives. Courses aimed to facilitate collaboration among students from diverse majors, foster students' critical media literacy through production practice, and develop partnerships with community groups. I make a case for nonfiction media making about social issues as a promising activity through which to achieve diversity learning goals and "high-impact" learning outcomes for students across many fields. The purpose of this action research study was to explore the barriers, expectations, and impact of the monthly Journal Club (JC) activity as a method for collaborative learning. The study was conducted in the EDL department at Miami University. The participants were graduate students and faculty who completed the survey. The data and observations were analyzed by using constant comparison analysis method. Findings showed that besides several barriers such as varied and broader research interests, time commitment, and identifying strong leadership options for effective planning, organization, and facilitation, JC activities would strongly provide networking opportunities and promote collaborative research. Though educators have recognized the heterogeneity of a student population in respect of social, cultural, educational backgrounds, and learning styles (Ehrman & Leaver, 2003), their inclusionary pedagogical approach orients to majority while including something additional or different to cater those who experience additional difficulties rather than creating learning opportunities for everyone (Florian & Black-Hawkins, 2011). Inclusionary instruction orienting to everyone known as Galperin Systemic Theoretical Instruction (Galperin, 1992). It involves such practices as mediation through multimodal support, verbalization through teacher-students and peer-peer interaction, imitation, and play to enable diverse students to apply new knowledge in new contexts. In this presentation, I explain how distinctiveness and belonging can coexist by providing an inclusive environment that values different people and their contributions. Approaches to use in class that increase cultural awareness and inclusion. The main outcomes of this paper are that an inclusive learning environment prepares students for the workplace, makes them open-minded to different people and cultures and capable to compete in this global job market. The executive board of Miami's Students with Disabilities Advisory Council (SDAC) wants to educate the Miami community about disability as an identity and culture through a primer in Disability Studies. As a field of academic inquiry, Disability Studies examines the lived experience of people with disabilities and views disability as a social, cultural and political phenomenon as well as a facet of one's self-identity. Sustainable strategies for instructors to make classroom communication more inclusive. The presenters believe that even small changes in communication practice can change a classroom culture, helping students feel more included in class and possibly beyond. Drawing on research in intercultural/professional communication and examples from their teaching experience in multicultural settings. The presenters invite participants to reflect on their communication practices and styles. Participants are encouraged to examine communicative elements they use in their work with students--ranging from oral language used in lectures to assignment instructions to writing on slides--and to make communication more inclusive. The "Ask Big Questions" concept comes from an initiative first developed at Northwestern University Hillel a number of years ago to deal with a major crisis on campus. It worked! Today Ask Big Questions is under the umbrella of Hillel International and is used effectively on many campuses throughout the world. The concept is to propose a big question, broad enough so that it can be answered by anyone. Each individual in the group has a voice, if they so choose, to share their own personal perspective in a welcoming, open, non-threatening/non-judgemental environment. Various materials are used - texts, movie clips, poems, real life experiences - to move the conversation. The conversation is facilitated by a trained individual. Could be staff, student, or other. Groups should be anywhere from 10-20 people and consist, ideally, of individuals with diverse backgrounds, races, cultures, religions, and philosophical beliefs. Larger groups could be split into smaller groups and facilitated by another trained individual. I will be a facilitator and gladly train others to faciitate if need be. I propose that we use the question: What is oppression? A number of interesting topics are being covered in the symposium but the question of oppression intersects with all other topics from a secular, religious, cultural, etc. angle. Hearing about and learning about what oppression feels like and looks like to others - and we have all likely felt it in some way - helps us better grasp the "isms" we are faced with in society. Miami's Community and Place-Based Interdisciplinary Program folds Urban Cohort, Cincinnati Summer Immersion, and Fall Residency Program best practices into a new undergraduate certificate while espousing an innovative, collaborative approach to curriculum development and teaching with longstanding community partners, pioneered by Thomas A. Dutton at the Miami Center for Community Engagement. This session demonstrates how this approach deconstructs the belief that legitimate knowledge is only produced in the academy. It illustrates demonstrable benefits of incremental preparation and reflection, enabling students to integrate community knowledge, social location, and professional vocation. It concludes by inviting participants to share best practices from university-community engagement. Effective teaching that centers social justice goals in a diverse setting requires both an understanding of how people learn and perspectives on how people interpret bigoted behaviors. In this presentation, we briefly discuss some key concepts about learning, define key concepts (e.g., social justice, race, racism), and describe a framework for understanding how people interpret racist acts and the consequences of incongruence in labeling them, particularly in the classroom. More specifically, we present a framework that helps explain why people may viewing the same situation may have vastly different options on whether racist behavior was exhibited. Diversity and inclusion in the world of children's illustrated books is on the rise. However, less than 8% feature African Americans. Picture books including images and text created for children reflect issues of social justice also applicable to older audiences. Combined with the written word, art serves as visual reference for the world around us. Faculty and students are encouraged to include African American culture and history in socially responsible curricula and research. This topic is in connection with the Spring 2018 interdisciplinary exhibition featuring original artwork created by African Americans on display at the Miami University Art Museum. The student population in the United States has become increasingly racially and culturally diverse while teachers remain almost 90% white (Vavrus, 2008). In today's diverse society, it is critical that educators understand culturally responsive teaching and the impact it has on student learning. This presentation will provide an overview of research on culturally responsive teaching, with a primary focus on the benefits and challenges of culturally responsive teaching. The purpose of this presentation is to increase awareness about the importance of culturally responsive teaching and to provide educators with strategies for increasing their cultural responsiveness. Soft skills are personal competencies that complement the technical requirements necessary to obtain employment and build a successful career. Students of all backgrounds can have varying levels of soft skill development and varying familiarity with a professional work environment. How do we bridge the gap for all students, allowing inclusive transitions to professional life for all Miami graduates? Learn how effective soft skills coaching includes flexibility, awareness of the individual uniqueness of diversity students, and specific strategies for success. Targeted soft skills coaching can strengthen our diverse student population and improve employment outcomes for all students. Increasing intercultural competence "knowledge of, attitude toward, and skills when interacting with culturally-different others" is a Miami 2020 pillar. For seven years, Miami English as a Second Language (ESL) instructors and faculty have partnered their classes to sponsor a series of cross-cultural dialogues and shared cultural experiences between international and domestic students. The Crossing Borders program and others like it help domestic and international students expand their comfort zones and increase their ICC by reducing intercultural apprehension. Facilitators of these dialogues will share their successes, challenges, and lessons learned to help you get started in fostering meaningful intercultural interactions. Based on the Thriving Quotient, Schreiner (2010) advocated that educators are responsible for creating and sustaining inclusive environments that allow undergraduate students to develop and apply their strengths. However, this quotient does not account for how systemic oppression determines whether low-income, first-generation, Latino college students thrive at selective universities. This interactive session aims to complicate notions of student success using data from The National Study on Latino Male Achievement in Higher Education. Utilizing data from this study, attendees will learn to use public and hidden transcripts to critically analyze data. Implications for practice will also be offered during this session. Make your message memorable and accessible to audiences of all abilities by incorporating the principles of universal design in classroom lectures. The Office of Student Disability Services and the Hefner Museum of Natural History will show practical examples of how to use existing campus resources that can easily bring your existing lectures to life. Memorable instruction incorporates multiple senses; learn about how to incorporate 3D printing, video production, captioning and audio description, and even scents into your teaching. See how the Museum uses these and how to add new dimensions to class projects by partnering with the Hefner Museum. By the year 2043, racial and ethnic minorities in the United States will become the majority, making it critical to understand racial experiences and race-based interactions. The National Public Radio has provided a public forum for such discussions through theracecardproject.com, where visitors are instructed to write down their thoughts about race in six words. Motivated by this effort, the current presentation will have two components to facilitate appreciation of diverse experiences: 1) an experiential activity for the audience to reflect on their own race-related experiences, and 2) presentation of data from content analysis of over 2000 six-word entries from theracecardproject.com. The poster session will start from 10:30 - 11:30 a.m. in the McGuffey hallway. Posters will be available all day. This poster introduces the Freedom Summer App, a location-based tour on the iPhone where participants role play as a Freedom Summer volunteer in 1964. Participants can download the open-source program ARIS, view a demo, and discover ways to use the App for curriculum or programming. The staff in my department would like to be informed about having safe zone stickers, and would like to be a part of the safe zone for all students to come and talk and just have a place to feel safe on campus. FSW freely welcomes all students to come and have a place to feel safe and express their feelings, and concerns, if needed. Through collaboration with on-campus departments and staff, student requests and the consultation of librarians with ESL/ELL expertise, a Miami University librarian built a dedicated collection in King Library to serve a rapidly growing on-campus population of English language learners. Poster will showcase collection materials and policies, as well as related Libraries learning objects, staff and services. 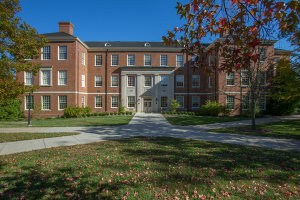 Attendees will gain familiarity with the collection and acquire the tools and knowledge to refer students with ELL needs with confidence to the Miami University Libraries.